Oh my I can't believe that it's November already! How did your Halloween goes folks? Ours was a lot of fun! 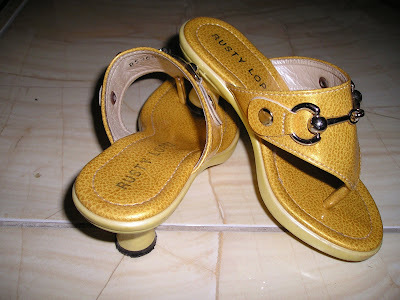 For this week's mellow Yellow, I am sharing my daughter's yellow shoes which we bought in the Philippines. A lot of people are admiring her shoes and at the same time get worried that she might fall wearing it. But Rylie can run around with heels. Have a great week everyone! 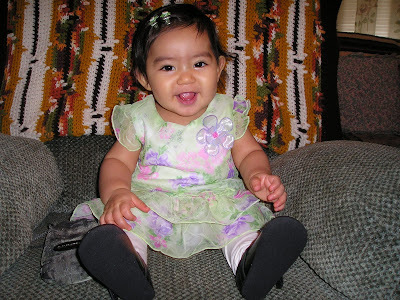 PS: Thank you all so much for casting vote for my daughter, she won the Smile Contest for the month of October. This picture was taken four years ago when our daughter had her first set of chooppers hehehe.This is my first entry to Wordless Wednesday.